Georgia sophomore linebackers Robert Beal and Brenton Cox were arrested Tuesday and charged with misdemeanor possession of marijuana, according to CollegeFootballTalk.com. Beal and Cox are the fifth Bulldogs to be arrested this offseason. Wide receiver Jalen Hunter was arrested for a traffic violation/suspended license, Latavious Brini for simple battery, and Tyrique Stevenson for disorderly conduct. Details of what led to the latest issue have yet to be released, although Smart has, once again, been forced to address the off-field issues that have hit his program. “I was made aware kind of right as we were going into practice about their situation,” Smart said of the latest arrests in quotes distributed by the school. “You know, I’m obviously extremely disappointed. I’ve obviously done a poor job with this group with connecting and making sure they listen and understand things. Obviously, we have policies and rules in place. “These guys violated those policies and rules, and they’ll serve the punishment they deserve for it. I hate the decisions they’ve made, and they’ve got to learn as young men, that you can’t break the rule — you can’t break the law. 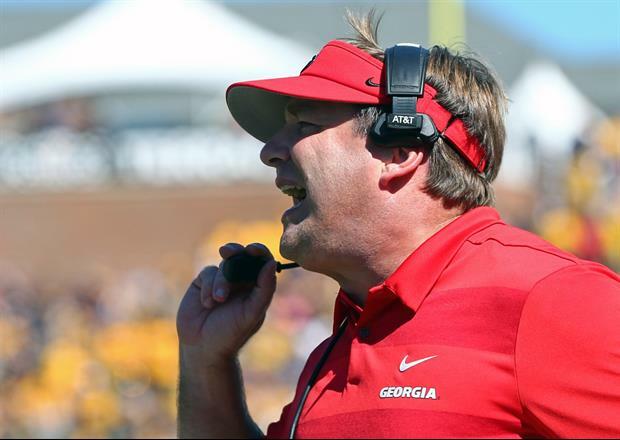 Take UGa's opponent and the points in the first couple of games. Isn’t marijuana legal or at least considered to be? How do you get arrested for it? Heroin users don’t even get arrested anymore. Oh , Yeah, Georgia is a red prohibition state. He's not their dad or their mom. These damned drug addicts. WTF do they not understand about not smoking the Devil's lettuce? Alias Smith & Smart ? Imagine my shock. People that are dumber than dirt get offered scholarships to basically do nothing but be athletic, then everyone acts surprised when this kind of thing happens. What a joke. Georgia is always a Fulmer Cup contender. Can’t win a bowl game? Might as well go for the Fulmer cup, right thuga?